Castile-León, or Castilla y León, is a region of hilltop castle fortresses, grand medieval cities with monumental churches, lush vineyards and vast open plains. The food is exceptional, even for Spain and the history is a tangled web of drama. Our Guru’s recommendations for the best places to stay in Castile-León include hotels converted from historic fortresses and monasteries, isolated pousadas and luxurious, modern hotels surrounded by their own vineyards. This is one of the largest regions of Spain and there’s plenty of variety and so much to do. It’s also one of the least travelled, but most magical. 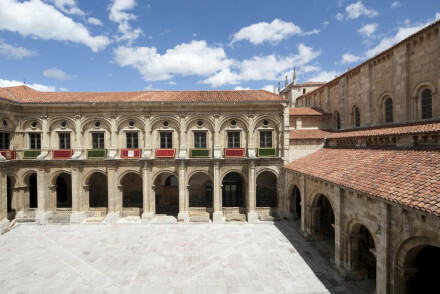 This is old Spain, and once you start exploring you might find that you’ll need to stay in two or three hotels on our Guru’s list of the best places to stay in Castile-León before you’ve scratched the surface of this region. One of the main reasons people travel to this region is to see the beautiful, medieval towns Castile-León is littered with. Many them make great bases, but the sizes vary a lot. Our Guru’s have recommendation for where to stay in many of them, but they also recommend a number of properties more off the beaten track and surrounded by vineyards and beautiful countryside. Salamanca is one of the largest, and most famous centres in the region, with its beautiful architecture inspired by the warm, almost glowing, sandstone quarried just outside of town. Salamanca's beating heart, the huge Plaza Mayor, both the old and new cathedrals, the wonderful 15th Century House of Shells, decorated with 350 sandstone shells, and many of the university buildings are the highlights. Not quite as impressive as Salamanca, but a wonderful encore, Zamora is referred to in many places as a Romanesque Museum because of its twenty four 12th and 13th century churches, all arranged, with rather monumental effect, in the casco historico, or old town. Burgos is best known for its amazing Gothic cathedral, which looms over the rest of the beautiful, medieval Old Town like a fancy jewel. This was once a key stop on the Camino de Santiago pilgrimage, but it's worth more than just a 'pop in', this is a great city for foodies and rife with interesting buildings. Then there’s peaceful Soria, capital of the Soria province of the Castile-Leon region, but its backwater charm, on the picturesque Rio Duero, is one of the reasons it's such a great place to hideaway. And amazing Ávila, enclosed by monumental city walls, complete with eight huge gates, 88 watchtowers and around two and a half thousand turrets. It looks like the setting for a fairytale, and the old fashioned, quite religious, atmosphere and mountainous backdrop only strengthens the magical feeling. Valladolid is another of the region's largest towns, and viewed by many as the gateway to Northern Spain, whilst at the other end of the region there's UNESCO Heritage listed Segovia, just 50 miles from Madrid. Use our guide to the best places to stay in Castile-Leon and start to plan your trip to this stunning region. La Puebla is a chic, little hotel in a historic spot, just on the outskirts of the medieval heart of Burgos. The hotel is a well preserved 19th Century affair, with 19 rooms, a sun terrace and a good little bar. It's also priced extremely reasonably. 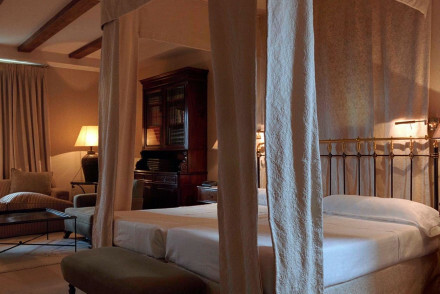 Also in Burgos, the Hotel Landa is a castle tower with 13 elegant bedrooms and two restaurants. Attractive, romantic and family owned, this hotel will make a memorable place to lay your head. The Castillo del Buen Amor, just outside Salamanca, is a beautiful castle set amongst its own vineyards and stunning grounds. There are just eight rooms and suites, which feel traditional and romantic, plus a lovely pool and an excellent restaurant. It’s family friendly too. 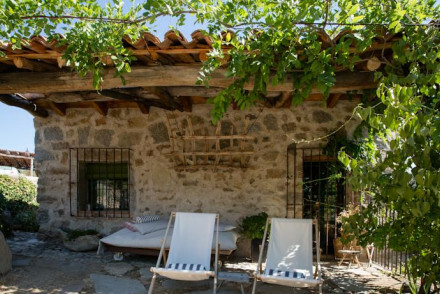 Molino de los Gamusinos is a quaint, three room country B&B converted from a 17th century mill, just outside Ávila. 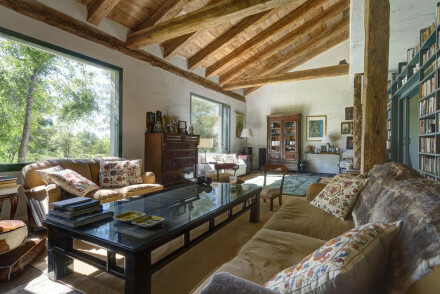 The atmosphere is rustic, with exposed beams and stone floors and there are beautiful gardens surrounding the property, running all the way to the Voltoya river. The Posada Real de Santa Quiteria outside Soria, is a charming, hillside hotel with stunning views of the valley. There are ten romantic rooms, a fantastic restaurant and wonderful lush, peaceful gardens of stepped terraces. Perfect for couples who enjoy good food. 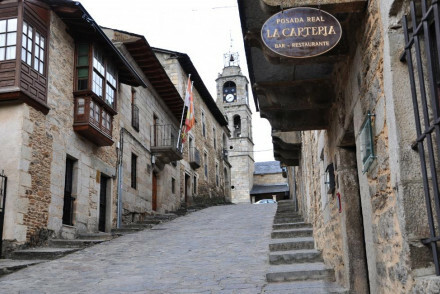 La Carteria is close to the Lake Sanabria National Park, but still well located for visiting all the medieval towns in Castile-León. There are just eight rooms in this hotel, decorated with a contemporary feel, despite the traditional setting. There’s also a gym, Turkish bath and sauna. Fuente Plateada, near Segovia, is a country pousada right on the edge of a National Park. There are 11 rustic chic rooms with stone walls and iron bedsteads, plus a beautiful garden, complimentary bike hire and a buffet restaurant. The Posada Mingaseda is a country inn with plenty of rustic charm and wonderful views over the Sierra de Guadarra Mountains. This is a great place for outdoors-y folk with a good restaurant specialising in local cuisine plus a sauna and hot tub. 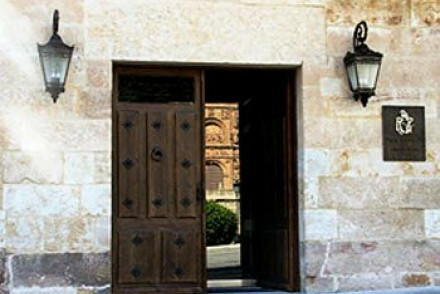 The Grand Hotel Don Gregorio is a five star boutique hotel in the centre of Salamanca. Historic on the outside, yet contemporary on the inside, this hotel is opulent and romantic, with a full spa, a chic bar and a gourmet restaurant. The Hotel Rector is a sophisticated hotel in the heart of Salamanca. There are 13 large, carefully decorated rooms, a quiet bar and excellent service - in a great location. 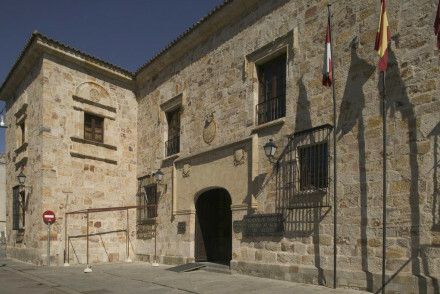 Some of the 35 rooms in the Real Fuerte de la Concepcion, a military fortress turned elegant luxury hotel, are available for around €60 per night. For that you get a beautiful inner courtyard and garden, an in-house restaurant which spills out under the stars when it can, and a definite feel of romance. 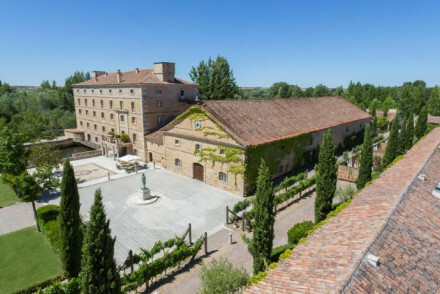 The Hacienda Zorita Wine Hotel & Spa is an elegant hacienda hotel converted from a 700 year old monastery. 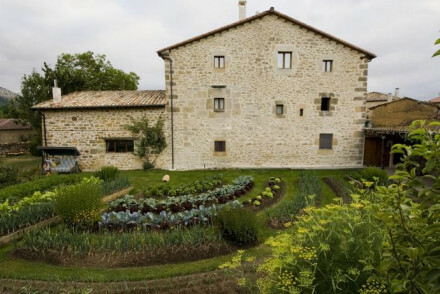 Surrounded by vineyards and right by the River Tomes, these thick stone walls and monastic bedrooms have been transformed, but the tranquil garden remains. There’s also a vast cellar and a restaurant run by a Michelin-starred chef. 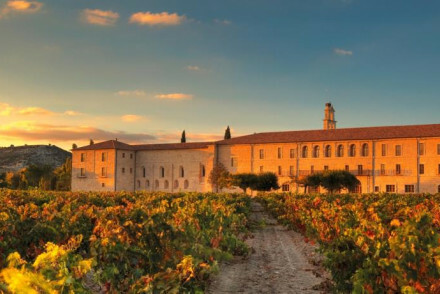 Just outside Valladolid, the Abadia Retuerta Le Domaine is a beautifully restored 12th Century abbey with 30 luxurious rooms overlooking a winery and a courtyard garden. Inside the vaulted chapel there’s a gourmet restaurant, which also offers wine tastings. Butler service is included. The Parador de Zamora is a beautiful 15th century Renaissance palace converted into a 52 room hotel. The interiors are still medieval in places, with stone floors and long galleries, and the rooms are decorated with tapestries and chandeliers and have four-poster beds. There’s also a pool and lovely large gardens. 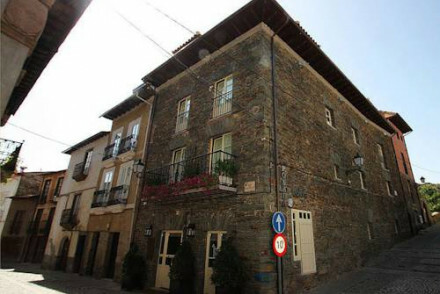 Las Donas del Portazgo in El Bierzo, close to León, is a chic little hotel with 17 rooms. The outside fits the medieval setting, but inside it’s contemporary with white painted brickwork, quirky wallpaper and exposed beams. They serve excellent regional cuisine and there’s a nice library with a fireplace. Rooms start from around €64 per night. 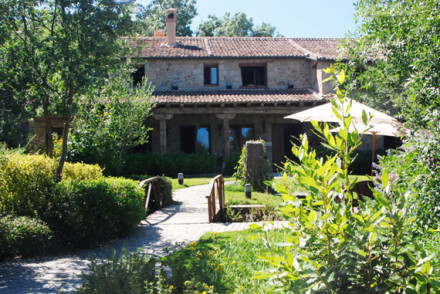 El Prado Mayor, between Burgos and the coast, is a traditional farmhouse built around a beautiful garden patio and converted in to an eight room hotel. There’s plenty of original charm and period furniture and antiques and they do a sumptuous breakfast. The Valbusenda Hotel Bodega & Spa is a superb five-star hotel with 35 plush rooms overlooking the hotel’s own vineyards and surrounding countryside. There’s an extensive spa menu and a lots of opportunities for walkers. 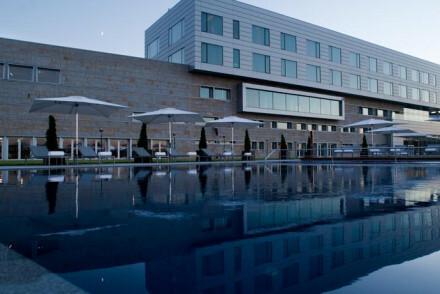 Still not sure which is the best place to stay in Castile-León for you? A chic little hotel in a historic location. Rooms blend contemporary furnishings with its original 19th century architecture. Sun terrace, cool bar area and massages available. Great value, and a stylish choice for exploring the historical sites close by. 11th century timber framed flour mill converted to give maximum space without losing any character. A beautiful spot in the Arlanza river valley. Rooms are bright and comfortable with exposed stone walls & tiled floors. Lovely garden with covered barbecue area and pool. Perfect rural family escape. 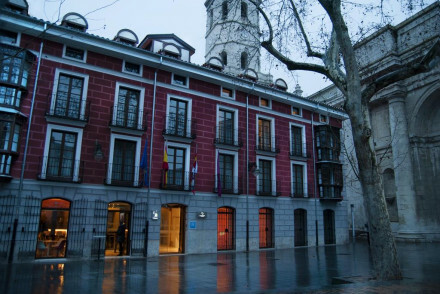 A four star property set in an historic building in the heart of Valladolid. Modern interiors are minimalist in style with block colours, simple contemporary furniture and luxurious dark blue bathrooms. Sip cocktails and nibble on tapas in the courtyard cafe before setting out to explore the city. Local exploring - A central base ideal for sightseeing, shopping and exploring the local dining scene. Sights nearby - Visit the historic San Pablo and Santa María de la Antigua churches and the Royal Palace. Great walks - Take a stroll along the scenic River Pisuerga. A chic little hotel in a Medieval town. Contemporary rooms with white painted bricks, large bathrooms, quirky wallpaper and exposed beams. Excellent regional cuisine and a warm library with a fireplace. Activities of the region on the doorstep. A cosy and stylish choice for a weekend away. 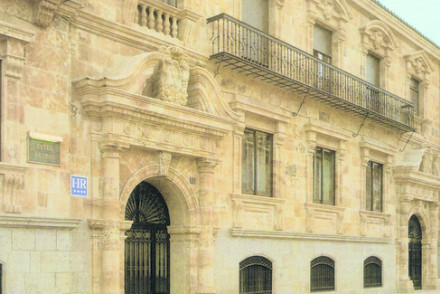 A grand hotel set in an historic building in the heart of León. Wide open corridors run round the expansive courtyard with equally well proportioned rooms leading off it. The building's original charm is well accented against simple contemporary styles. The perfect choice for culture enthusiasts. Local exploring - Boasting the most central of locations with many of the main attractions within walking distance. Sights nearby - Admire the intricate frescoes in the Royal Pantheon. A traditional farmhouse built around a beautiful garden patio. Maintaining its original charm with exposed stone walls, wooden beams in ceilings, pillars and cosy fireplaces. Rooms are charming with period furniture and antiques on display. A sumptuous homemade breakfast is served every morning. 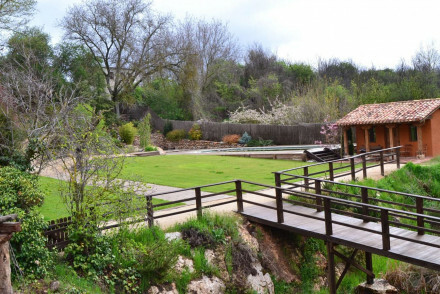 Country Escape - Located on the outskirts of Quintanilla del Rebollar village, it is a perfect getaway from it all spot. Writing a novel - In a very quiet and peaceful setting, draw inspration from the beautiful surrounds. Local exploring - Bilbao, Santander and Burgos are close enough for interesting day trips. Birdwatching - Several birds of prey like eagles, vultures, owls and falcons can be spotted in this region. 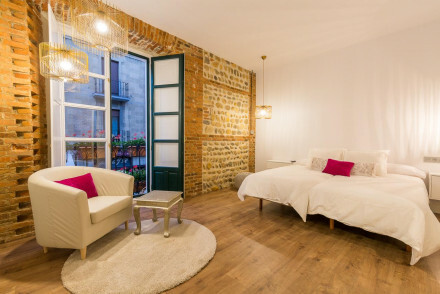 In the heart of Leon’s old town, this stylish guest house is the perfect romantic escape. Distinctly designed, en suite rooms, all with modern furnishings, soft lighting, stone walls, and unique city views. Guests are invited to relax on the sun terrace and enjoy local cuisine from the restaurant. Sights nearby - Walking distance from many of Leon's most famous attractions; Palacio del Conde Luna, Leon Cathedral, Casa Botines etc. 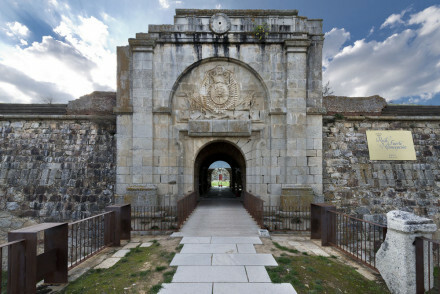 A military fortress beautifully renovated into an elegant luxury hotel. The inner courtyard garden with exposed stone walls, perfectly marries with the chic contemporary interiors. Dine under the stars at the in house restaurant, with spectacular outdoor seating. A very royal and romantic vibe. Romantic Break - A truly romantic getaway, with sumptuous suites, spectacular courtyard garden and romantic dining under the stars. Local exploring - This hotel has a very central location, close to Almeida, Ciudad Rodrigo and Salamanca. Local markets - Explore the many surrounding villages with numerous shops and eateries. Great walks - Go hiking in the Arribes del Duero, 200 kms of canyons to explore. A gorgeous historic house in the heart of Calendario. Elegant interiors throughout with whimsical art work, soft creme hues and antique furniture. A central courtyard makes a lovely focal feature. Well located for accessing alpine activities as well as historic towns. Simply stunning. Active Holiday - With the Sierra Béjar Mountains on your doorstep and La Covatilla Ski Resort just 30mins away there's plenty of outdoor action. Sights nearby - The ancient celtic city of Salamanca is a 50 minute drive away and well worth a day trip. 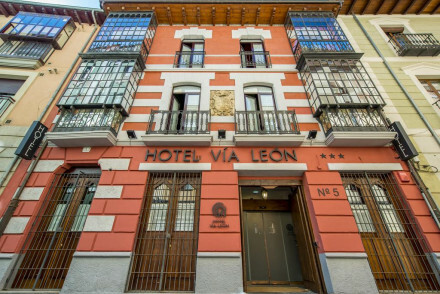 A small hotel in the heart of historic León. Charming rooms are individually styled and traditionally dressed with polished wooden floors, exposed beams and cast iron beds. A cosy base to explore the city from. Local exploring - Well located in León's central district with many of its main attractions within walking distance. Sights nearby - Visit Leon’s striking Gothic cathedral. 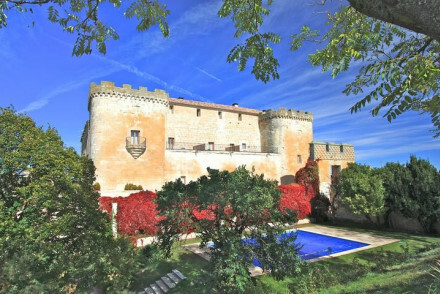 A beautiful castle with its own vineyards set in stunning grounds. Traditional romantic rooms and suites have antique furniture, paintings, and lots of space. Excellent traditional restaurant, wine tasting, and a swimming pool. Good value, romantic, and family friendly. 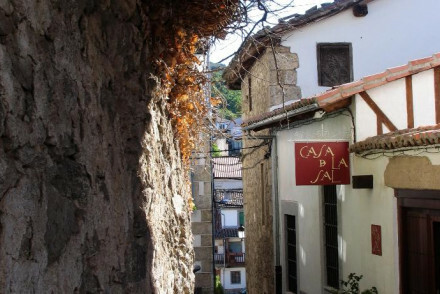 A natural feel to this hotel in the medieval town of Puebla de Sanabria. Stone wood and crystal combine to give a contemporary feel within a traditional setting. Simple yet comfortable rooms complete with gym, Turkish bath and sauna. Lots of activities available in Lake Sanabria National Park. A highly romantic destination in the old town. A family run castle tower and square with elegant bedrooms and two fantastic restaurants. Rooms and suites have four poster beds, big bath tubs, and attractive furnishings. A great choice for a romantic break with excellent food. Sights nearby - Museo de la Evolución Humana. 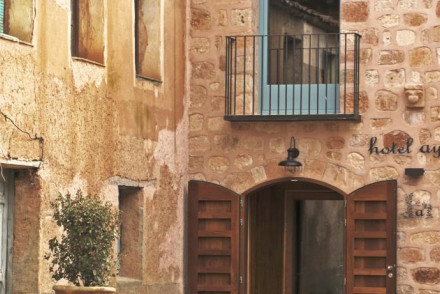 A boho-chic property in the pretty town of Ayllon. Contemporary rooms dressed in white-on white with light natural wood furniture, contrasting with uber modern bathrooms. A pretty central courtyard with bright pops of colour. The restaurant serves simple regional cuisine. A charming stay. 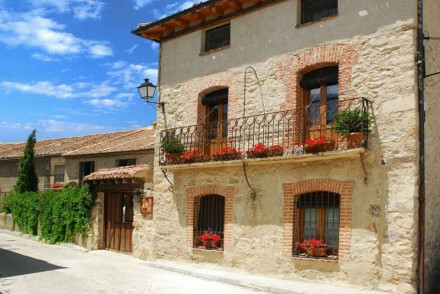 Local exploring - A historic building located right on the Ayllon’s Plaza Mayor providing easy access to the town and surrounding countryside. Great walks - Enjoy lovely walks in the Hayedo de Riofrío nature reserve. Sights nearby - Visit the churches and wander the pretty lanes of Ayllon. 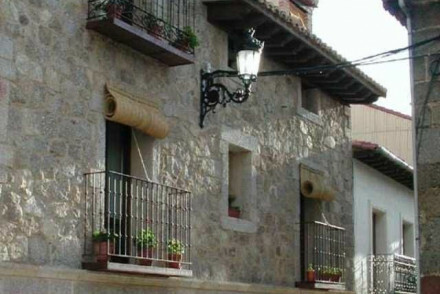 A quaint country hotel nestled into the countryside surrounding Avila. The former mill retains its rustic 17th century atmosphere with exposed beams and stone floors. A great place for a romantic break, with lovely surrounding gardens stretching down to meet the Voltoya river. Country Escape - A beautiful B&B in a restored mill, with lovely gardens rolling down to the river. Sights nearby - Avila is less than ten miles away and its cathedral is worth a visit. Kayaking - Kayaking on the Voltoya river is a great way to view the surrounds. Great walks - Beautiful walking in the countryside surrounding Tolbanos. Traditionally elegant hacienda hotel in a 700 year old monastery, located on the River Tormes and overlooking magnificent vineyards. Thick stone walls, monastic bedrooms, exposed oak beams and secluded swimming pools in a tranquil garden. A vast cellar and delicious food. A chic boutique hotel sitting pretty atop a hill and boasting epic 360 degree views. Charming traditionally styled rooms feature lovely chintz prints, antique furniture and huge bay windows to take in the stunning scenery. With manicured gardens and a large pool it's the perfect country escape. Total relaxation - A place to go and unwind in the surrounding nature, whether it be over a long walk, or simply relaxing with a good book. Kayaking - Canoe on the Tiétar river or the reservoir Rosarito. 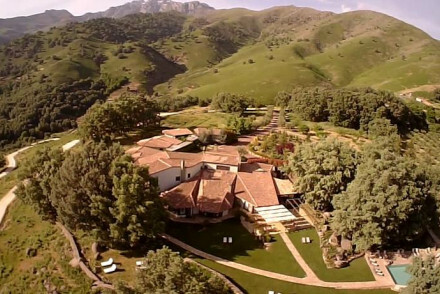 A beautiful hotel set on a hillside with stunning valley views. Gorgeous stepped terraces, fantastic restaurant, romantic bedrooms, and luscious gardens. A really romantic spot for couples with a delicate palette. Set in a family-run estate, this rustic hotel has a vibrant yet understated decor in keeping with its rural surroundings. The rooms are charmingly simple with white-washed walls and old-wood flooring. Offering a pretty semi-wild garden and homely living area. A lovely country escape. Sophisticated city centre hotel. 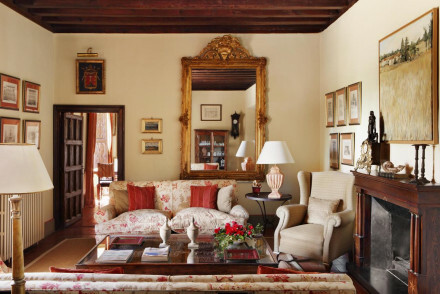 Large rooms feature cream and gold furnishings, writing tables and embroidered linen. Quiet bar to enjoy after sightseeing. Excellent service, outstanding location and effortlessly chic interiors. A superb five-star hotel with a focus on relaxation and luxury in Vega de Toro. Rooms are chic and plush with stunning views out over the surrounding countryside. Luxuriate in the extensive spa or take a tour of the hotel's private vineyard. An embodiment of tranquility. Country Escape - A five star design hotel nestled in amongst it's own vineyards and winery in the beautiful Vega de Toro region. Local markets - Explore the local markets of the nearby Toro and pick up some regional produce to bring home. Great walks - There are loads of beautiful walking opportunities through the surrounding vineyards. Sights nearby - Visit the medieval town of Zamora, twenty minutes drive away. 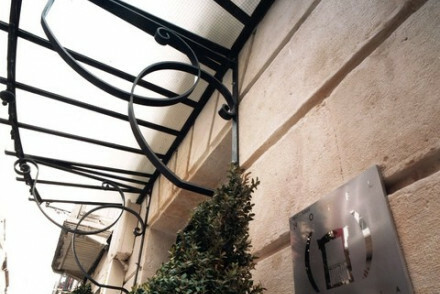 5* city centre boutique hotel. Contemporary rooms have four poster beds, dark wood floors and gorgeous bathrooms. Full spa with small indoor pool. Gourmet cuisine in the romantic restaurant, and chic bar. Opulent, luxurious and slick. An elegantly restored 12th Century abbey offering guests stunning views of the winery, a courtyard garden and a superb gourmet restaurant inside the old vaulted-ceilinged chapel. Rooms are luxurious and packed with fine details including butler service. A luxury treat for foodies and wine lovers. A chic boutique hotel set in a valley surrounded by mountains. Lovely rooms have pastel decoration, attractive furnishings and magnificent views from balconies. Fabulous spa on the roof top, cosy log fires, and regional cuisine. 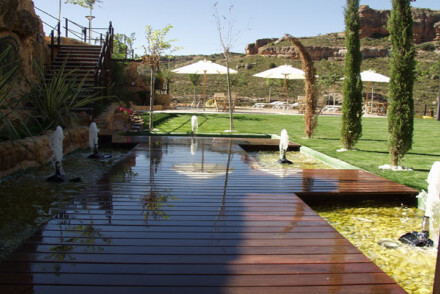 Perfect for mountain activities and spa rejuvenation. Total relaxation - Spa therapies, cosy log fires, delicious wholesome food, mountain air.